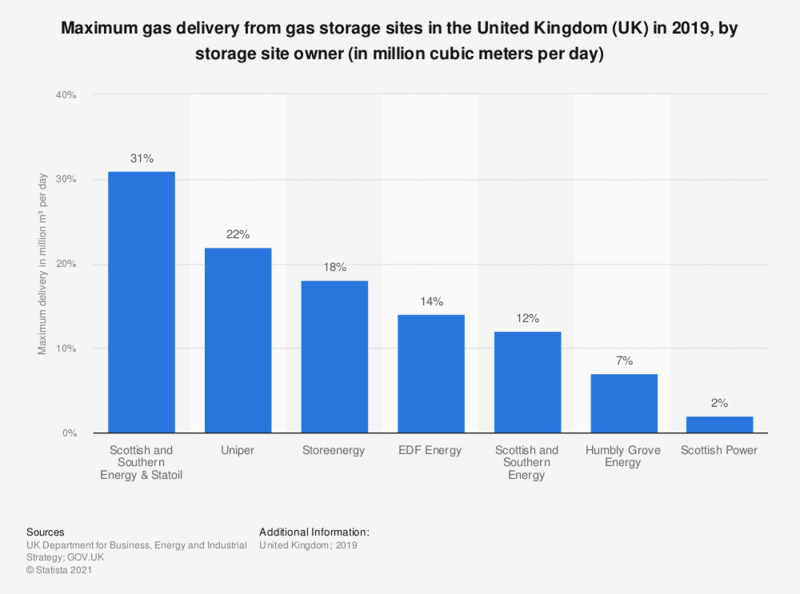 This statistic shows the maximum gas delivery capacity from gas storage sites in the United Kingdom (UK) in 2017, by storage site owner. Scottish and Southern Energy & Statoil own the site with the largest maximum delivery sites with 40 million cubic meters of gas per day. Additionally, Scottish and Southern Energy owns another gas storage site with a approximate maximum delivery of 18 million cubic meters of gas per day. The values displayed are approximations.